Ukraine has set visa free regime for citizens of the United States of America since the 1st July 2005, citizens of Canada and Japan since 1st August 2005, citizens of the European Union countries (citizens of Republic of Bulgaria and Romania starting with the 1st January 2008), Swiss Confederation and Liechtenstein since the 1st September 2005, citizens of the Principality of Andorra, Vatican (The Holly See), the Principality of Monaco, the Republic of Iceland, the Kingdom of Norway, the Republic of San Marino since the 1st January 2006. 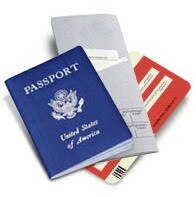 Note that visas cannot be obtained in the airport upon arrival. For more details, please visit the website of the Ministry of Foreign Affairs of Ukraine.